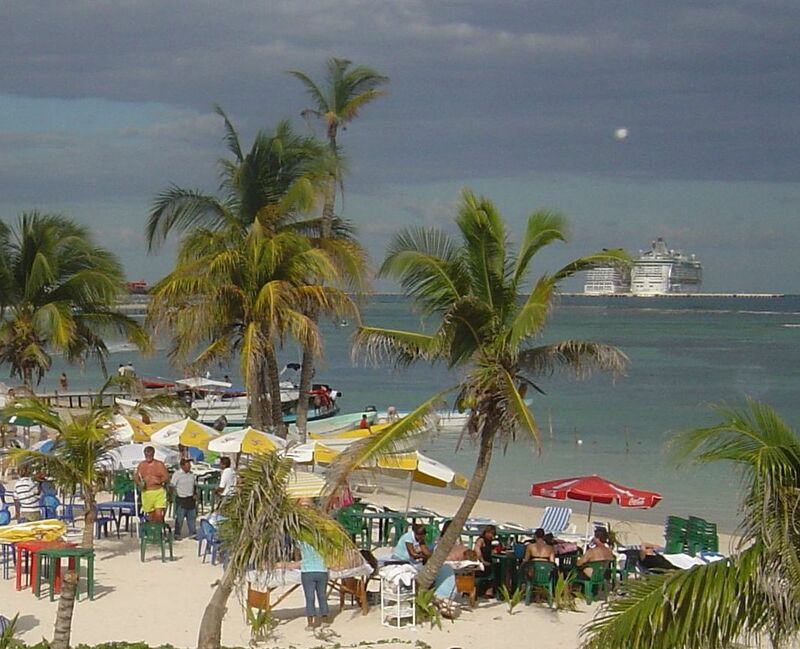 So many of the visitors to Mahahual/Costa Maya, do so from cruise ships, where so much of what they see is controlled by the cruise lines and the port facility. It is their industry and neither are not non-profit organizations, so it is natural they try very hard to either keep visitors inside the port facility, where the ships receive a percentage of the days sales, or to sell excursion packages that produce commissions for both, the port and the cruise lines. 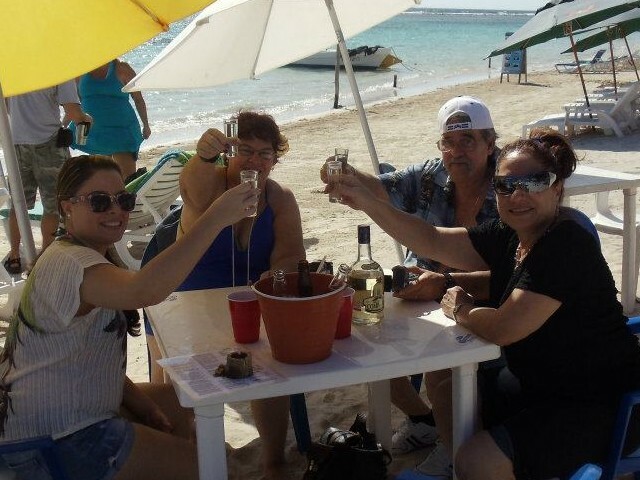 The town is left to try to attract tourists to come and enjoy many of the same activities, all at lower prices, and do so with a small, friendly and safe downtown, as well as one of the nicest beaches in the Western Caribbean. 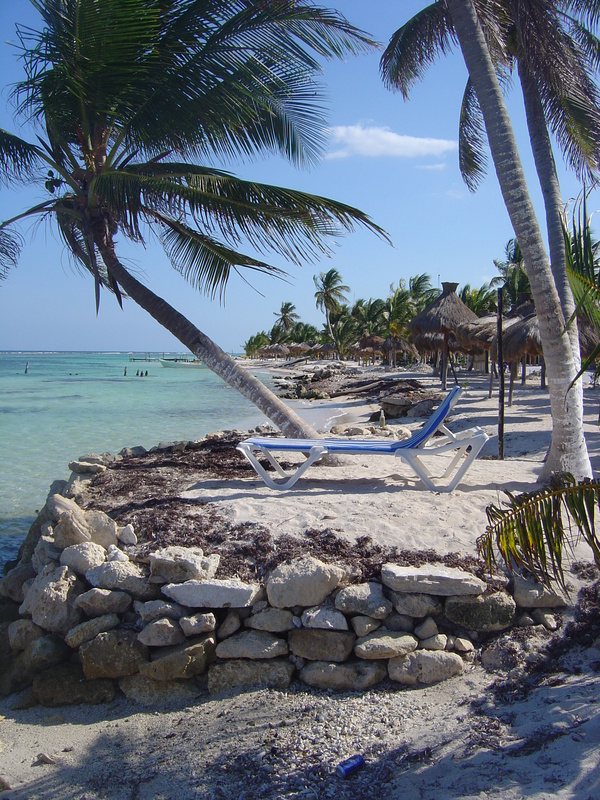 As time goes and people begin to talk, they are saying the town beach and malecon is the place to go when in Costa Maya. 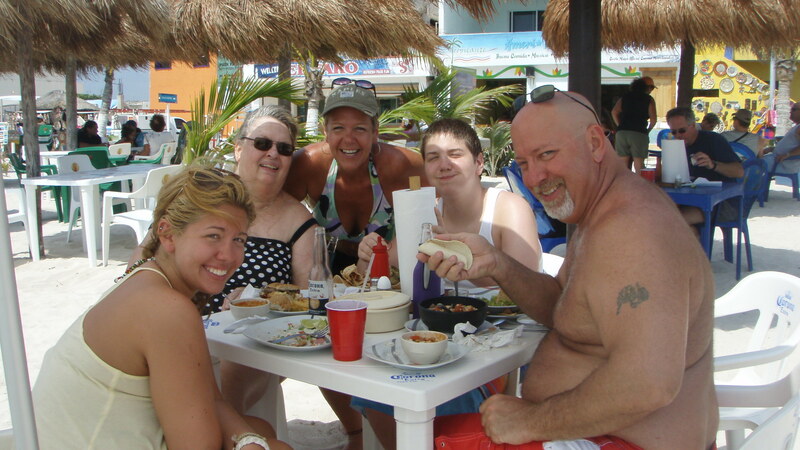 Great beach clubs and water activities at much lower prices than offered inside the port or through the cruise lines. Many cruisers only use cruise line sponsored excursions and almost always say the reason is knowing they will not be left should the excursion be late. That is probably a valid enough reason at some stops but not this one. The town is just a 3-4 minute taxi ride from the port and there are many taxis going all day to and from the port, so getting back is always fast and easy. The two dollar per person taxi rate might add a few dollars to your day’s final tab but even with the taxi fare, most still save more in town because of the lower cost of everything else, like food, drinks and especially, activities. The main reason so many are talking and leaving the port to see the downtown is because that is where they find what they really booked the cruise to enjoy. Some want to see ruins, some coffee plantations and such, but all want to see beautiful blue water and white sand, and we have plenty of both and lots of ways to enjoy them. Most of the activity operators provide walk-up service only, with only a few beginning to use web sites and allowing visitors to book ahead. 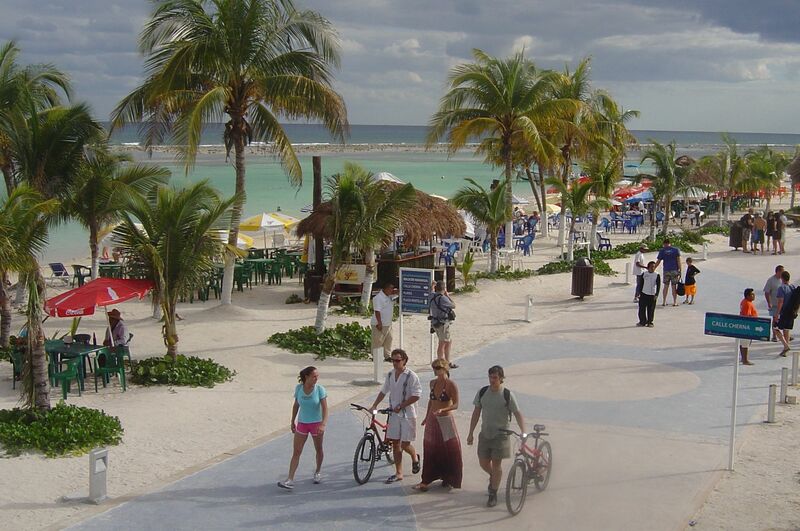 But for the most part, most of the downtown activities have no internet exposure, so if you want to enjoy the high quality services at much lower prices, you just have to come into town and stroll the malecon. Wear your swim wear too, you’re going to need it! Snorkel boats, wave runners, fishing, beach massage, paddle boards, discovery diving, banana boats and more are all along the malecon and visitors can almost always just walk up and enjoy. Most operations work with the nearby beach clubs and restaurants too, so waiters can help their guests arrange activities right from their table or beach lounger. 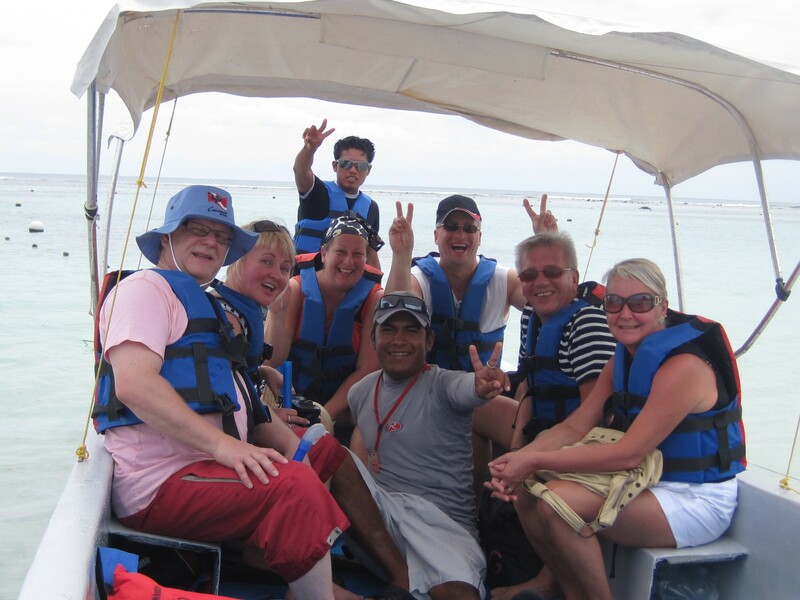 Neptuno, a locally owned and operated snorkel, fishing and banana boat company, is one of the better known tour operators and have been around for many years providing safe and high quality water fun at very low prices. They are licensed and properly insured, with nice boats and equipment. 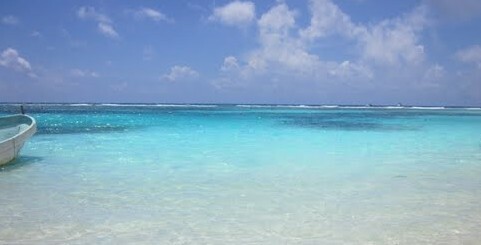 Ricardo and Nellie have lived in Mahahual almost all their lives, and know these waters and the area as well anyone. Their snorkel trips are $25 US with gear and fishing is $75 an hour for up to 4 people and includes all gear. 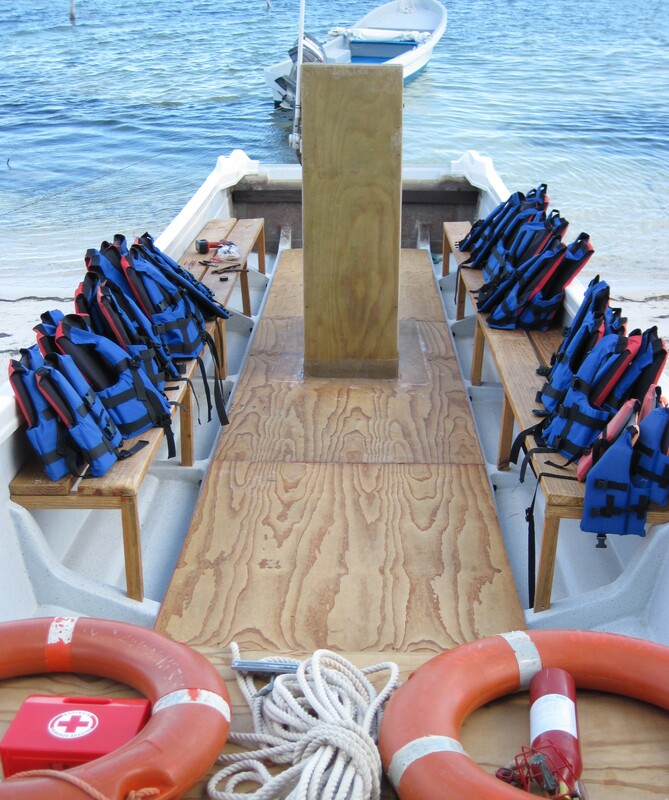 Snorkel boats take guests about 10 minutes out of town and keep them in the water for an hour. When they return, they load more and go back again, doing that all day, so you just walk up, or tell your waiter, and arrange to get on the next boat out. Great prices that are half of what are found in the port, and from really great local people too. 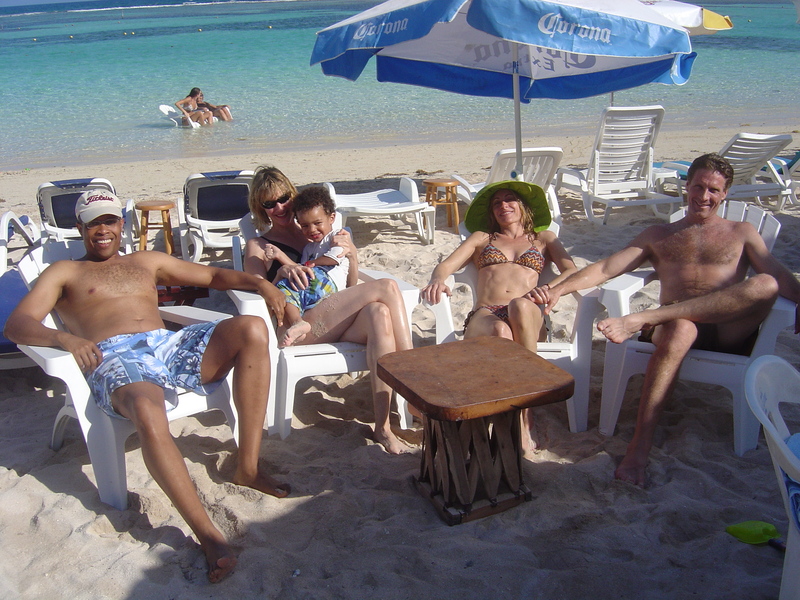 They are typical of the type of local business you find too along the malecon. How about a massage on the beach with the sounds and smells of the ocean all around. Walk right up and pick a spot. 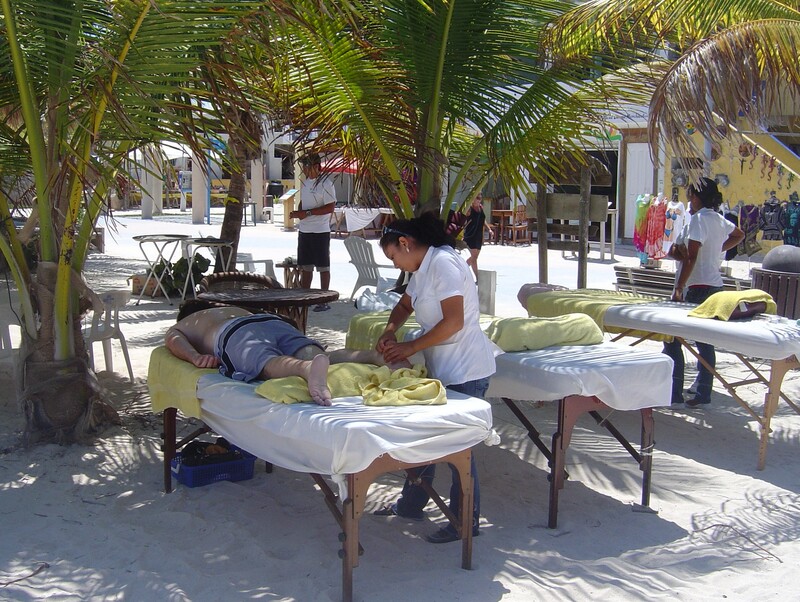 Massage has become a big deal here for tourism in Mexico and the department of Tourism took an active position in the emerging business a few years ago and set up required classes to teach massage basics in classes all masseuses must complete to work legally. The result is that most beach massages are surprisingly good and very cheap, with prices ranging from $25-$40 US per hour. Some of the better places in town, those that pay the higher wages, have “Masters Certified” masseuse who have taken even more extensive training and can give a massage the quality found in the US by even the best of Licensed Massage Therapist! Massage fees are usually split between the masseuse, the beach business owner, the owner of the bed, (usually one or the other but not always) and the local tax man, who checks the actual licenses of the masseuse. If the price is much lower than $25 an hour, the workers are probably not paying their fees and not certified. If you are paying over $40, go someplace else. Want to learn to paddle board, check out UnderToe Stand Up Paddle Boards next to the Yah Yah Beach Club. American owner Carolyn is there each day, giving lessons, renting boards and living her dream. You can walk up and pay $40 an hour for a lesson and a board for an hour to paddle around the downtown’s calm, clear reef protected waters. When you’re done, she’ll even let you buy her a cold one and will tell you all about living the ex-pat dream! Wave runners are also available and again, you can just walk up to one of two places. One service is $45 US per half hour and the other is $65 US per half hour. Both allow up to two riders at a time. The cheaper place has older machines and the other has new and very fast machines. Both are easy to find, as you’ll see them machines lines up on the beach and see them as they are coming in and out. And don’t forget the beach clubs, restaurants and shops. The better places, like the Tropicante in the center of the downtown beach, http://www.sandalsandskis.com/Tropicante.html take reservations in advance, but most are just walk up and grab a spot on their beach. Most are good, but some are not and we suggest you just do your internet research to find the good ones. The shopping along the malecon has all the usual stuff, mainly locally or regionally made products and many at very good prices, but be ready to haggle. A must stop is the Silver Reef, a small silversmith shop on the malecon with unique hand-made jewelry, made from only government certified silver he buys direct from the mines in Taxco. 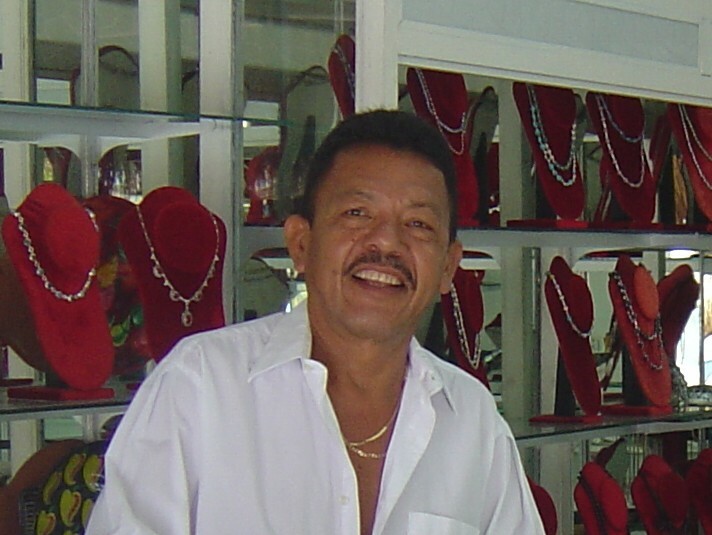 David, the owner, is from Taxco, where he and his family have been making fine silver jewelry for a couple generations. 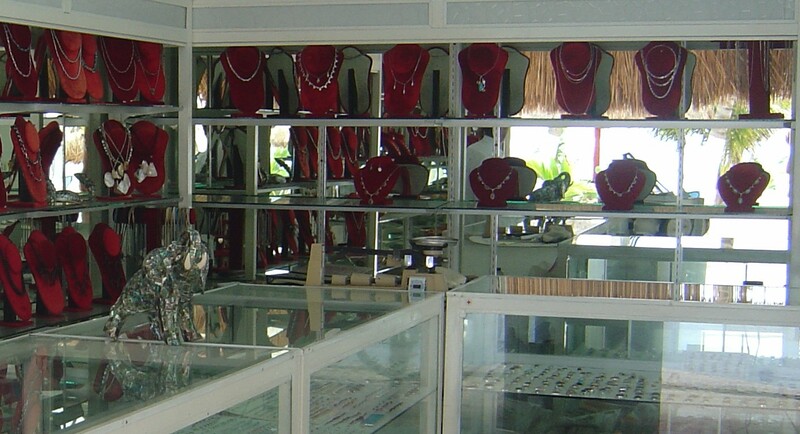 Lots of fake silver jewelry in Mahahual, even with fake stamps, so we never recommend you buy jewelry anywhere in Mahahual, except inside the port or at the Silver Reef. The rest is almost all costume jewelry and you can buy lots of that in the US and for much cheaper! 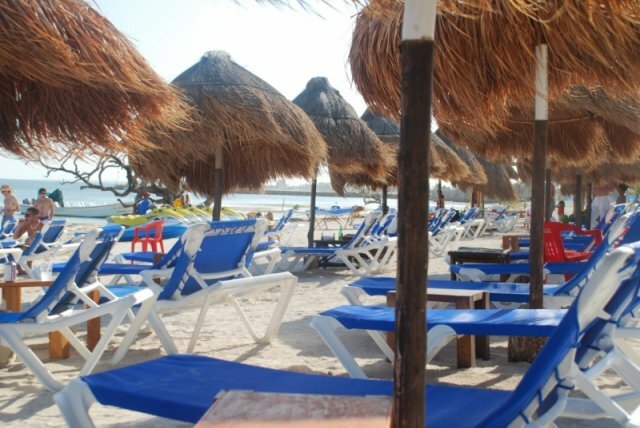 If you have not seen our downtown beach, check YouTube as there are several that show our malecon and the downtown beach. Here is a video we made that does that very thing. 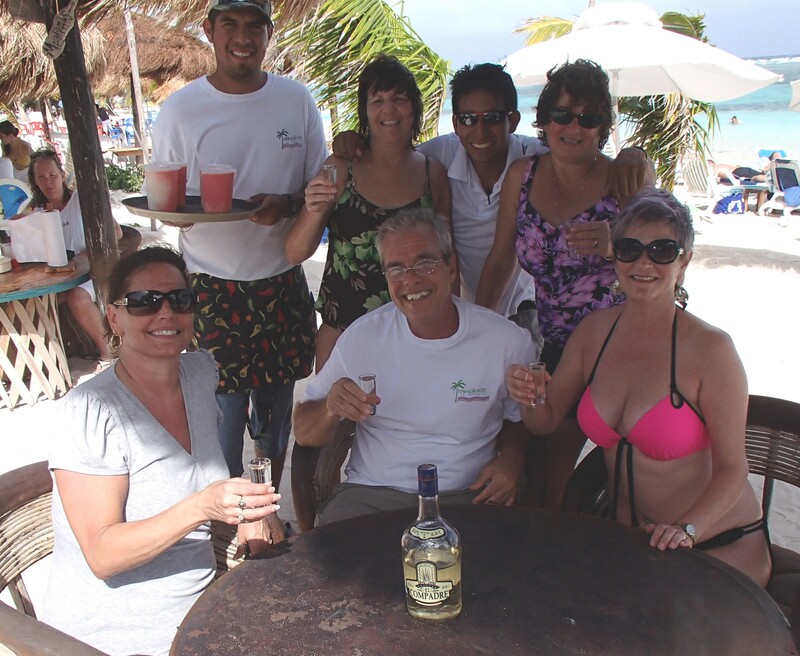 http://www.youtube.com/watch?v=e60EUS4Q7ng&feature=youtu.be Enjoy and we hope you come into town the next time your cruise ship stops in Costa Maya. What a great post and video! We’re visiting in a few weeks — can’t wait. This information is so helpful!